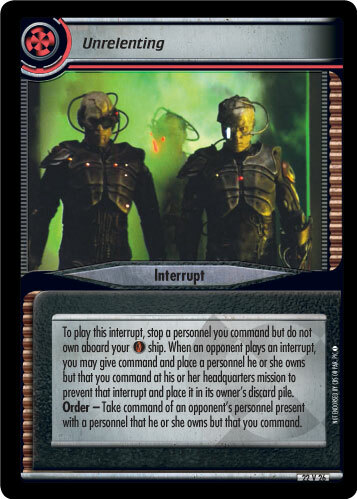 To play this interrupt, stop a personnel you command but do not own aboard your ship. 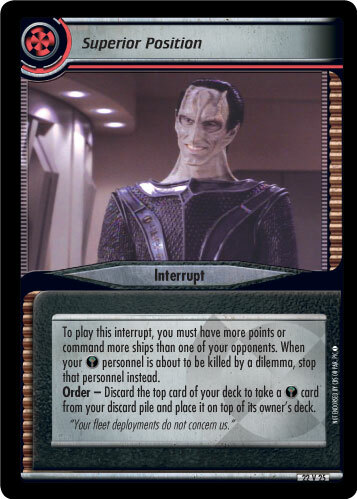 When an opponent plays an interrupt, you may give command and place a personnel he or she owns but that you command at his or her headquarters mission to prevent that interrupt and place it in its owner's discard pile. 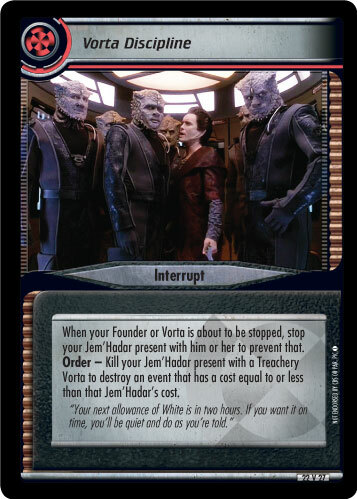 Order - Take command of an opponent's personnel present with a personnel that he or she owns but that you command.